In addition to Mixers, we have a Calendar of Swing Dancing in DC, a Directory of Vintage Clothing Stores and a Guide to 1940s Collectibles. Thanks for tuning in! Feel free to Contact Me if you have questions or want to share photographs and/or "Mix It Up" with the rest of the readers. 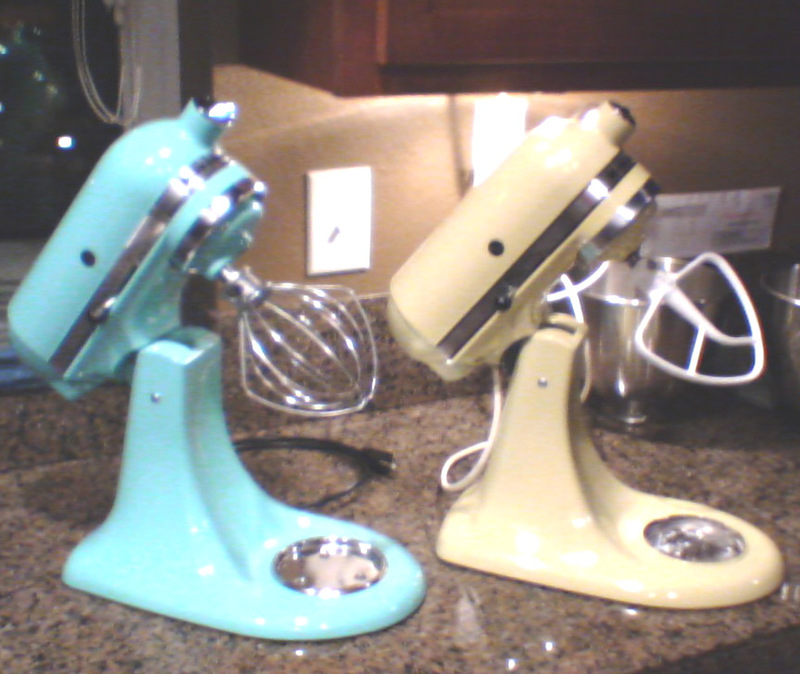 The first 5-quart countertop KitchenAid mixers were expensive($189.50, or about $2,200 in 2008 dollars) and heavy (65 pounds) they weren't convenient. 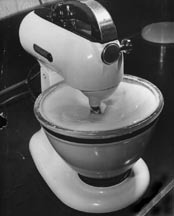 The mixer became more convenient and affordable in 1936, when pioneering industrial designer Egmont Ahrens trimmed the mixer down and chopped the price to $55 and then to about $30. 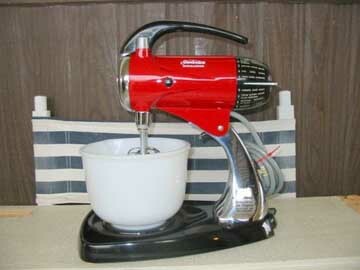 In the early years, retailers were slow to take on the KitchenAid mixer. 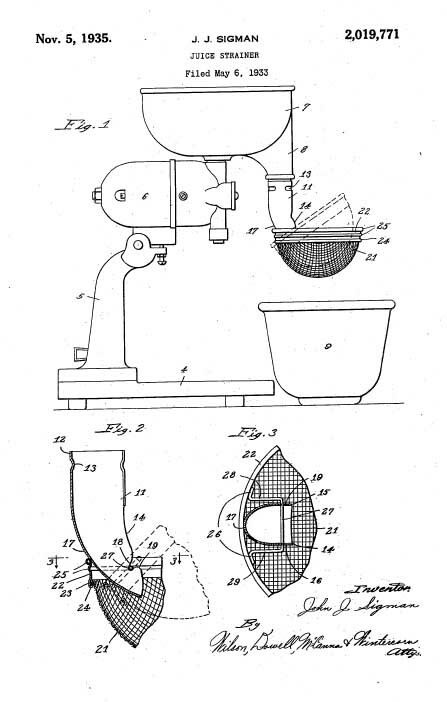 To counter their reluctance, Hobart established a direct sales force made up primarily of women who went door to door offering demonstrations of the new food preparation tool. Here are two photo from a World War II era training pamphlet. The subject was "How to use electrical appliances." 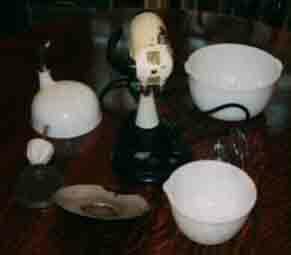 Many rural households were just getting electricity due to the Rural Electrification Administration (REA) and the pamphlet was intended to get folks up to speed with the rest of the country. 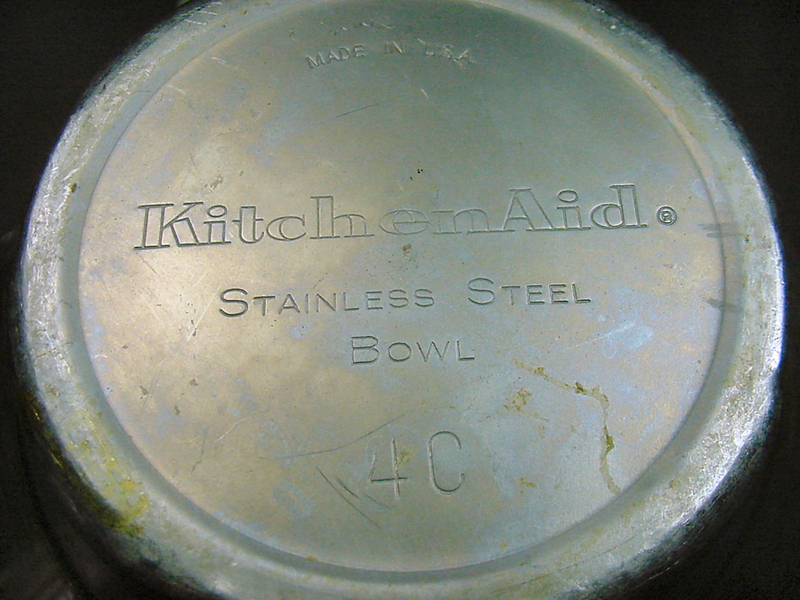 This photos show a Kitchen-aid K3B. The left photo cautions that the bowl should not be filled to the rim and the right photo shows how to clean up your mess if you do. 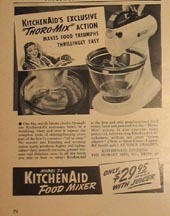 KitchenAid mixers were among the first "multi-tasker" appliances. 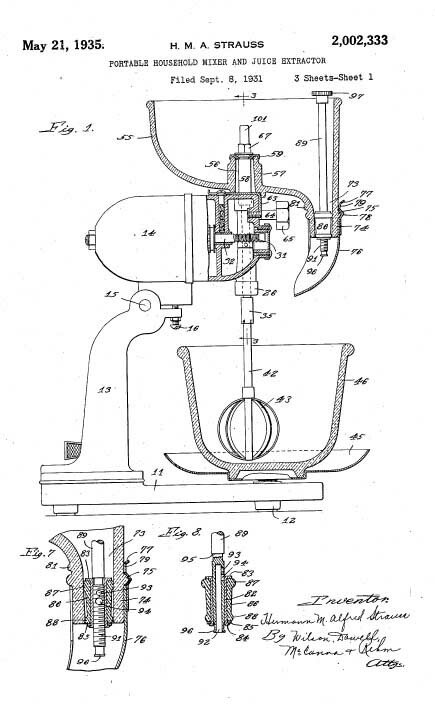 As early as 1919 citrus juicer and food grinder attachments were available. During the Depression, the KitchenAid mixers were sold as "food preparation tools" to convince purchasers that they were getting a great value. 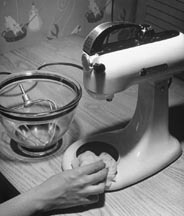 Thanks to our friend "Acme Ron" in Phoenix, we have these photos of a late 1940s Kitchenaid mixer with the food grinder attachment. 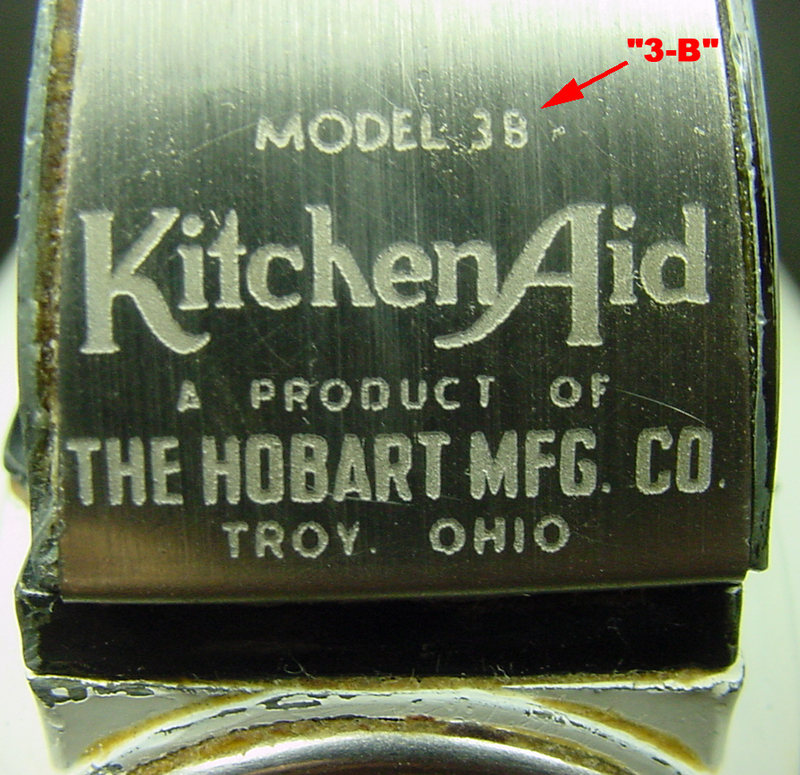 Of some note, the handle is marked "Model 3-B" while the base is marked "4-C" -- so, maybe our other expert readers can assign a date to this mixer. Is it a 3-B or a 4-C? 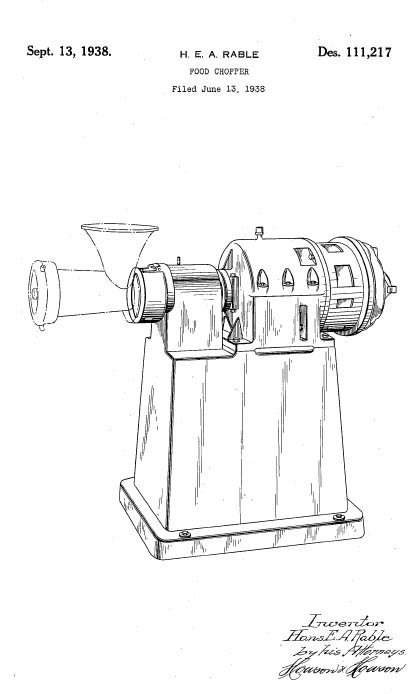 Today's KitchenAid stand mixers can be converted to anything from a pasta maker to a sausage stuffer or grain mill with the addition of optional attachments. 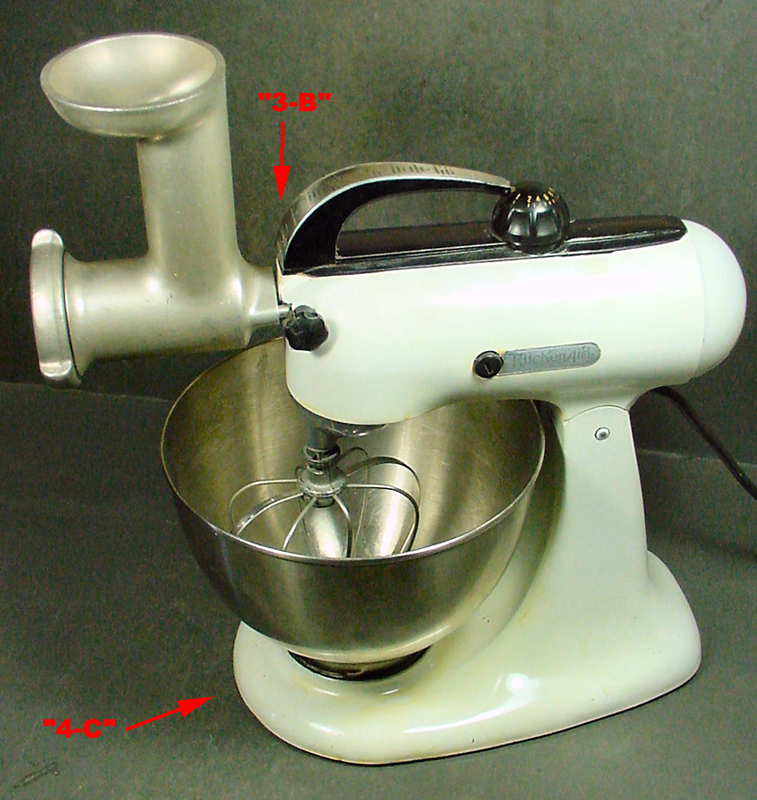 The mixer's mechanics remain virtually unaltered, too. 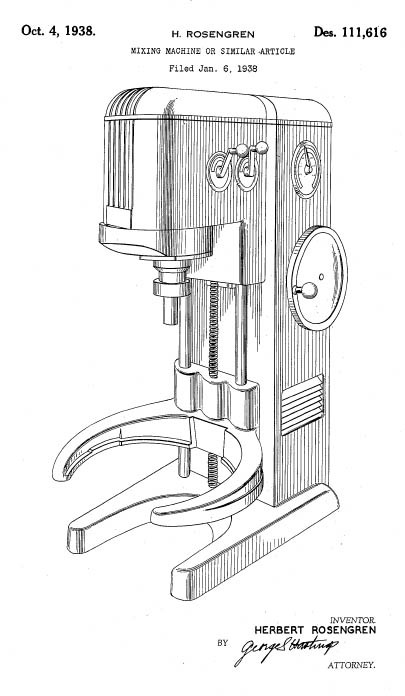 An attachment made in 1919 will fit on today's model. 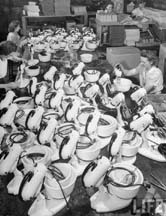 Tens of millions of KitchenAid mixers have been manufactured at the same Greenville, Ohio, factory that produced the first one in 1919. 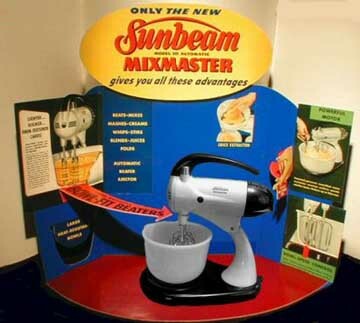 Here is a small prefatory note by Jeff Kallman, webmaster of The Classic Sunbeam Mixmaster website, the Ultimate Authority as far as Sunbeam Mixmasters is concerned. 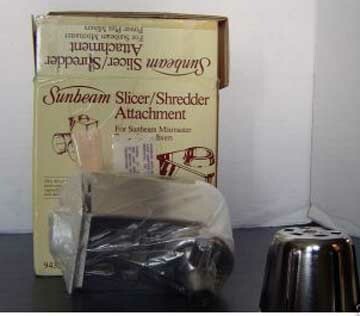 "... Sunbeam Corporation began as the Chicago Flexible Shaft Company. 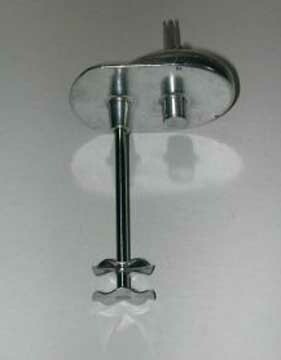 The unusual original name was coined by the two men who had founded the company predominantly to produce several pieces of animal grooming equipment they had created and developed; they incorporated it formally in the 1890s as the Chicago Flexible Shaft Company. 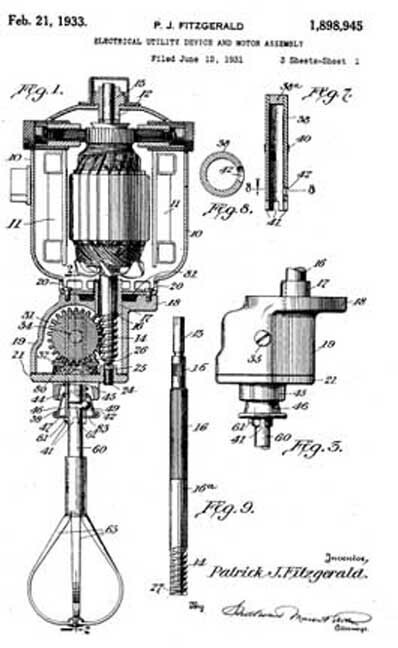 The company began producing small appliances in 1910, under a marque they called Sunbeam (the first Sunbeam product was an electric iron, first called Princess but soon better known as the Ironmaster, or 'The Iron of Irons'), and kept the animal grooming equipment in production under a marque called Stewart (one of the two founder-inventors was J.T. Stewart). 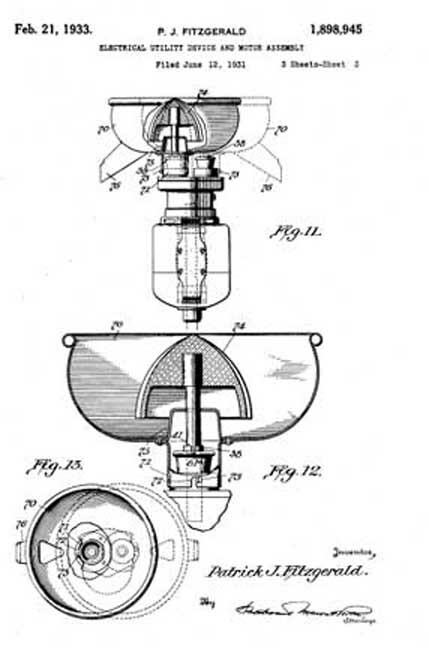 They hired a young mechanical engineer/designer from Sweden named Ivar Jepson in 1925; he climbed rapidly to head the company's research and development, and this may have been the most critical hire in the company's history. 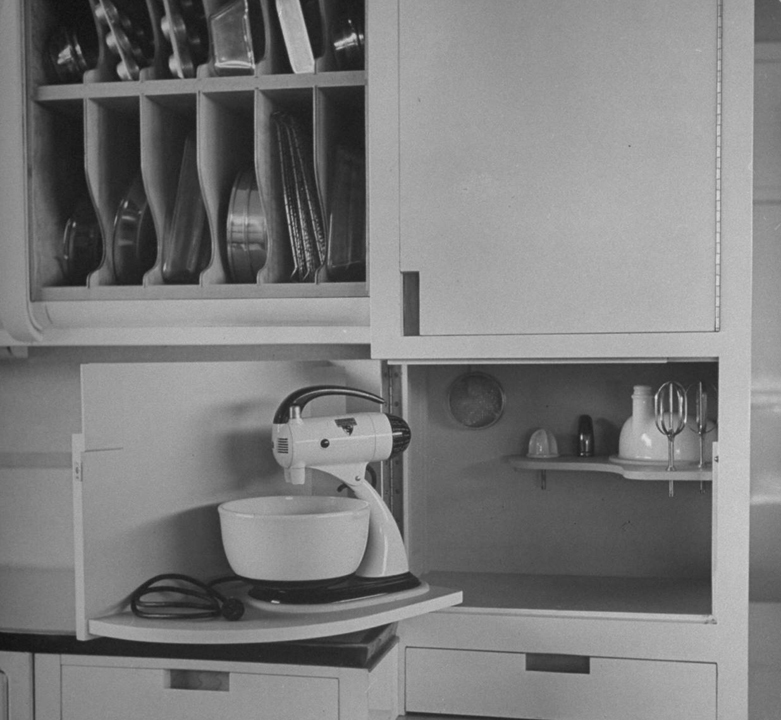 Sunbeam appliances became almost doubly successful, even as the Depression approached and hit, and even before the appearance of perhaps the signature Sunbeam product: the first Sunbeam Mixmaster appeared in 1930 (it got its earliest patents in 1928-29). By the 1940s, the Sunbeam marque was so identifiable that the Chicago Flexible Shaft Company would have been fools not to recognise it. 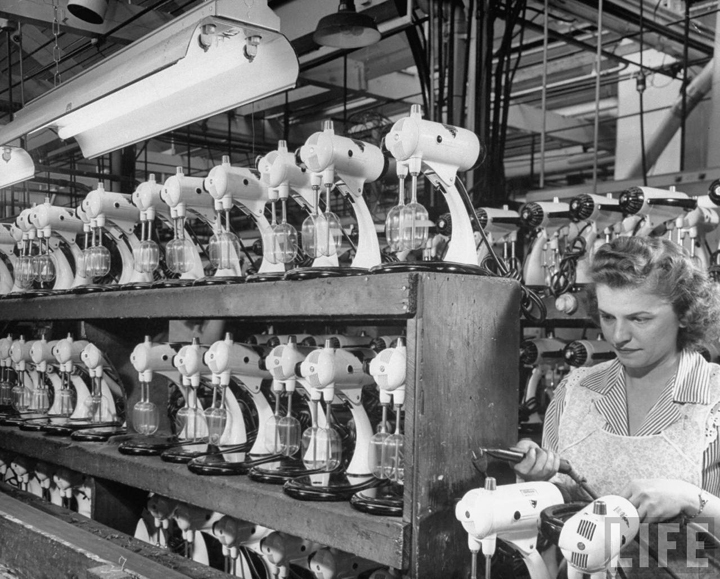 After the company regrouped to commercial production following World War II's interruption, the company formally changed its name to the Sunbeam Corporation. 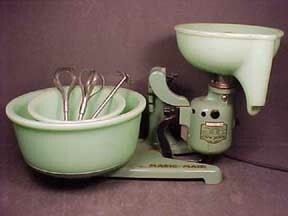 ..."
This lovely Sumbeam Mixmaster dates from about 1941 (we have others on dispalay below...) This is the condition in which it was found in a yard sale right before Christmas 2002. It has some dirt, but is complete. It works just fine. 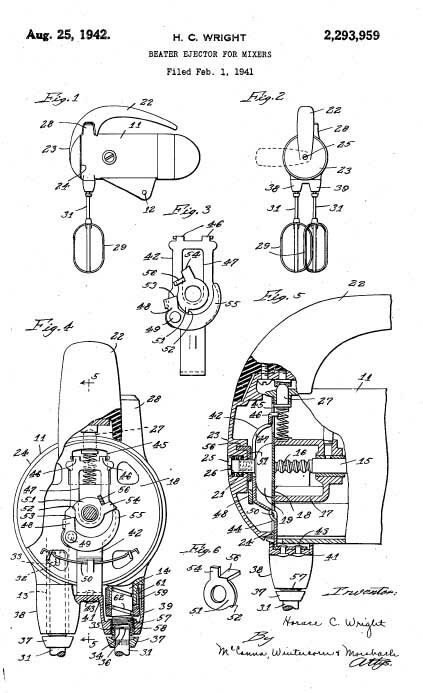 Check out the distinctive front "grille" or "wings" of the Model 7. 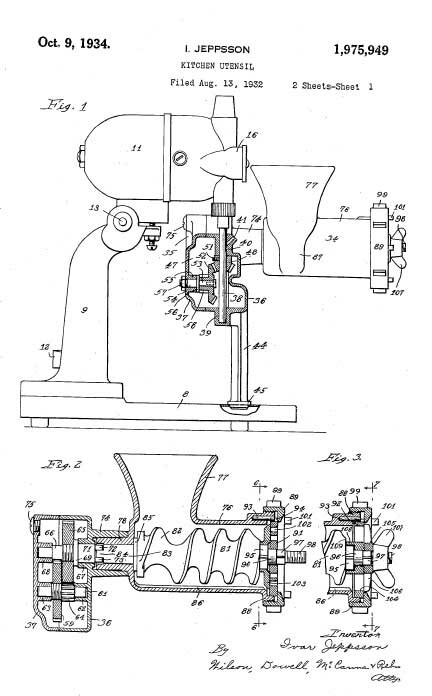 Compare this to our Model 11, below which has the "Smiley Face" front. 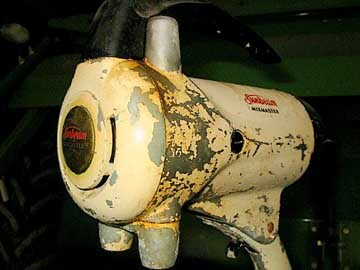 The face of the Mixmaster was very important to its design because automobile stylists devoted considerable attention to the front grille treatment -- which due to the limitations on bending steel at the time, was about the only place where they could add distinctive touches. 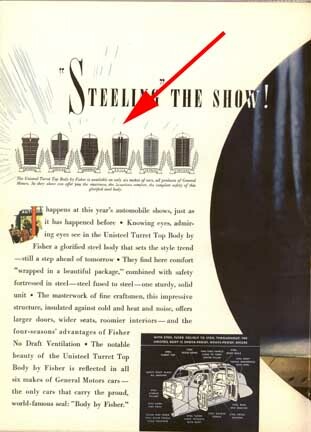 The photo on the left shows an ad for General Motors cars which highlights the distinctive grille treatment of the various GM models. 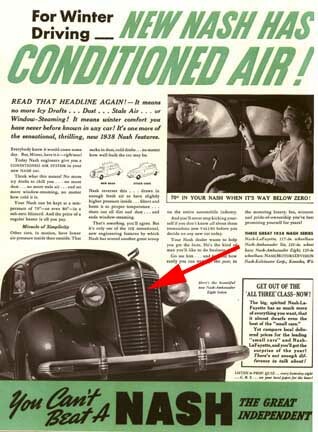 The photo on the left shows a typical car ad that gives prominence to the Grille Treatment. 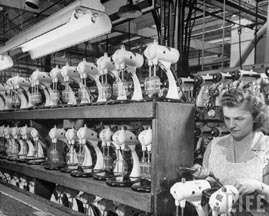 Here are some photographs from the assembly line at the Hamilton-Beach (left) and Sunbeam (right) factories in the 1940s. 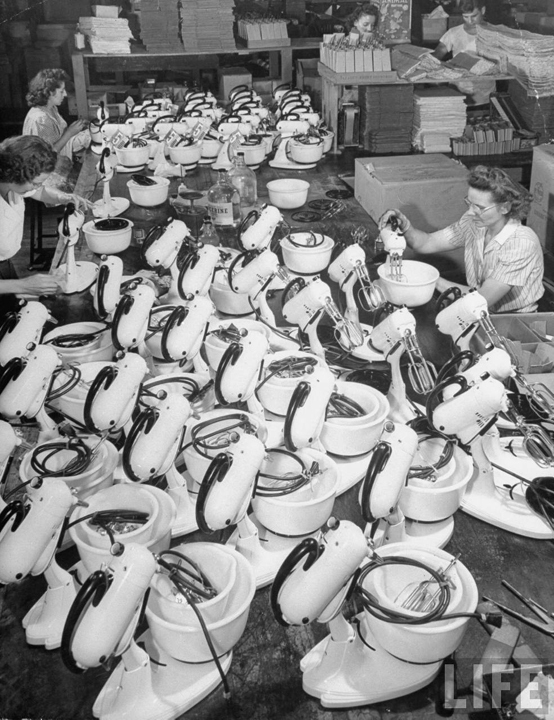 This will give you an idea of what life was like on an assembly line. This is the fabulous Sunbeam Mixmaster, another kitchen appliance that set the standard for things to come. 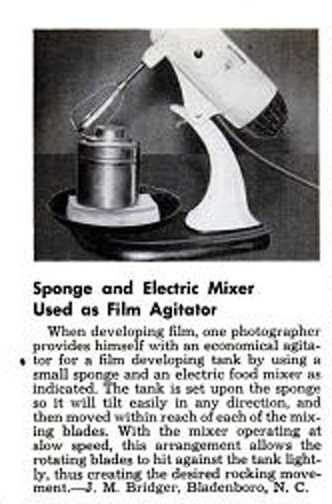 This is about sixty years old and it works like a champ. 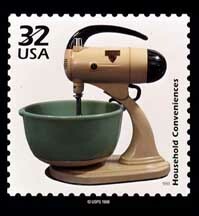 It is infinitely superior to anything that you can find today even at the most expensive Yuppie kitchen store. This gadget is much tougher, more powerful and more durable than anything on the market, even those $300 "commercial" models at Williams-Sonoma. 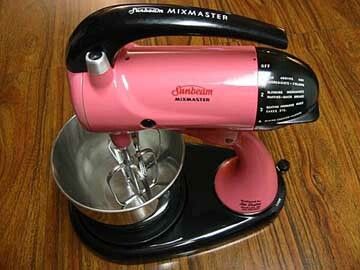 Forget all that --- search the thrift stores for a Mixmaster! 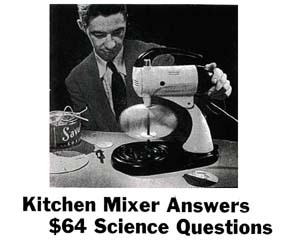 Not only is this a great kitchen item, but you can also use it to conduct Science Experiments, according to an article from the August 1951 issue of Popular Science. 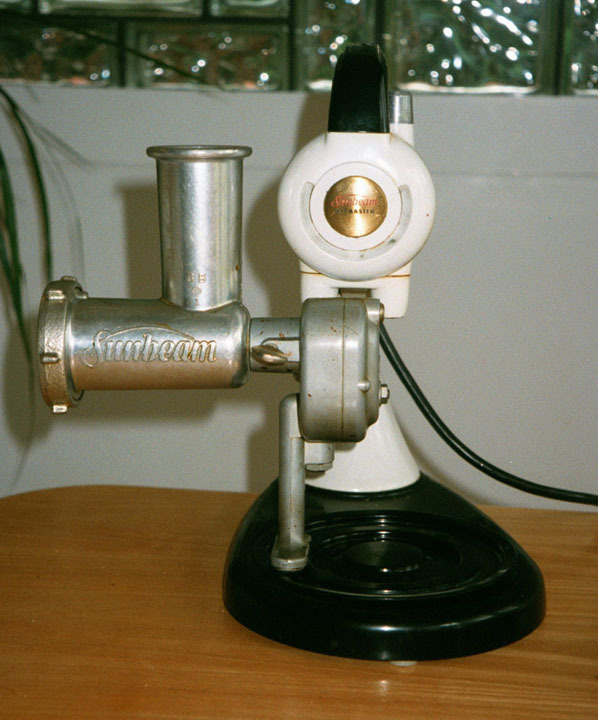 This is a Model 11, with the "Smiley Face" front. "... 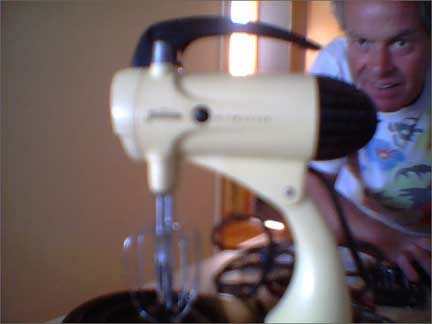 The mixer I use is a fully restored 1955 Model 11. 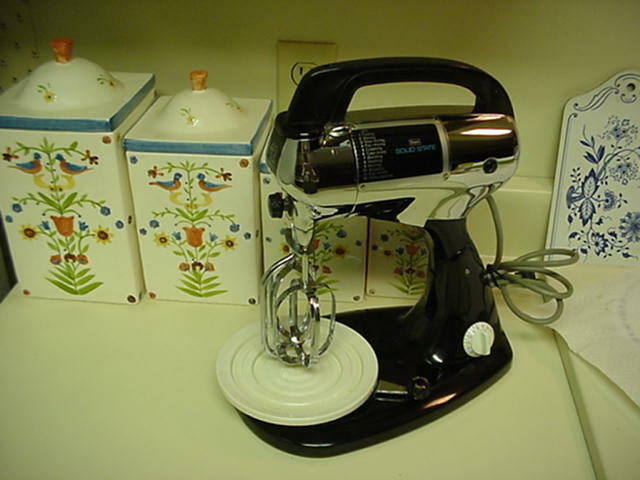 I call her Model 11BC because the restorer from whom I bought the mixer painted her black and put a chrome front motor cap on her. Very stylish, actually. I also own a 1946 Model 7B which I would like to have gutted, cleaned, and restored, but I cannot afford to have it done now. 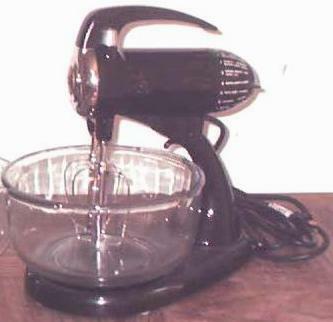 ..."
About once a year, you should consider lubricating your mixer. Here are the oiling locations. One or two drops, ONLY. 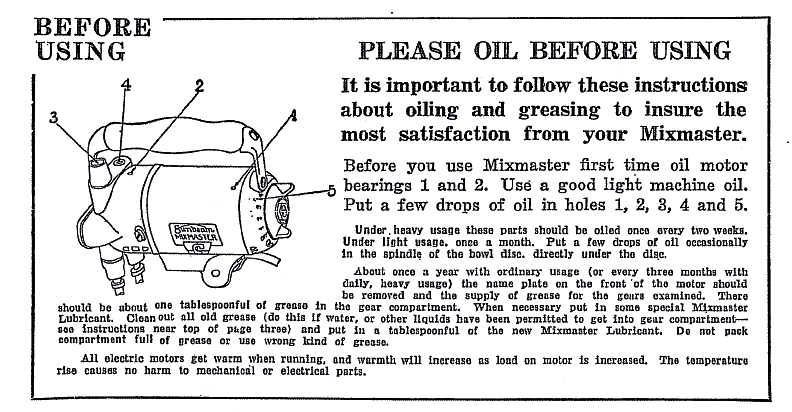 Use high quality machine oil. 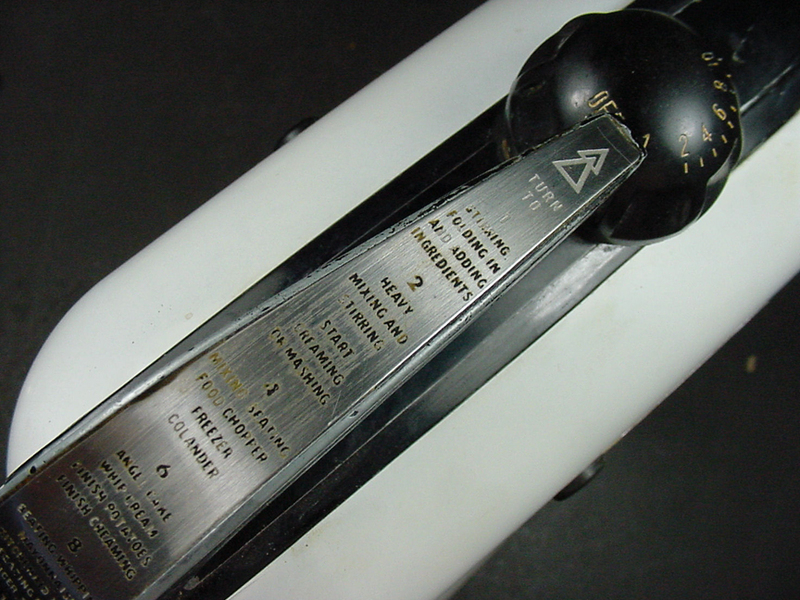 The front motor cover and handle should be removed to inspect the grease cups for the gears. 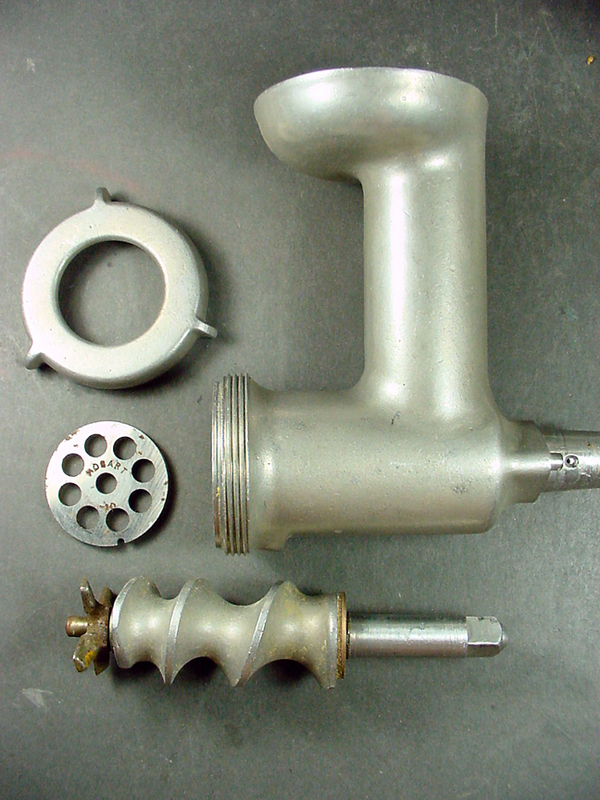 This is done by swinging the handle to the side, removing the screw in the center and taking the front cover off. Then, remove the four screws inside and take off the grease cover. This should contain about one tablespoon of grease inside. If the grease is old, or contaminated, clean the case thoroughly and place a tablespoon of a light appliance grease in the case. You can get this lubricant at a hardware store. Replace the screws and you're on your way!! 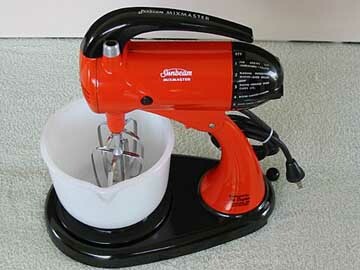 Here are some more technical documents about the Mixmaster. Click on the hyperlink to access the files; Please use the "save" option and do not open the file from the site (to conserve bandwidth). Some are quite large, so please consider file size before downloading. Occasionally, files held on the server may be corrupted-- if you find that this is the case with your download, please contact me and I'll send you the correct file. The photos are absoultely amazing. 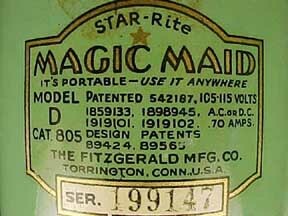 I have spent quite some time tracking down some of these devices --- they are extremely rare. If you have leads PLEASE let me know. 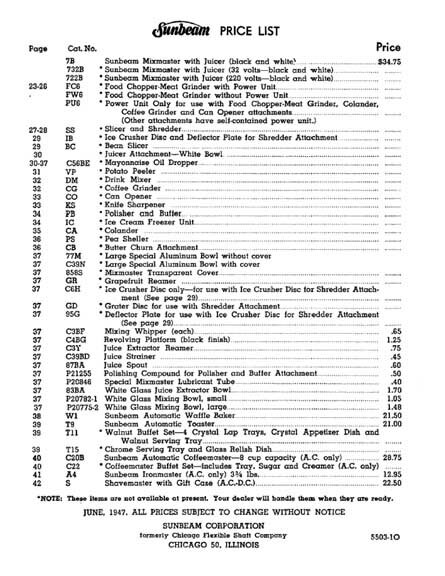 Here is a Sunbeam Price List for 1947 that shows the various accessories plus the parts for things like Toasters and Shavers. This is an 1952 advertisement for a very lovely Sunbeam Mixmaster that we found at a yard sale in Bel Air Maryland for only $1. This is a true find! 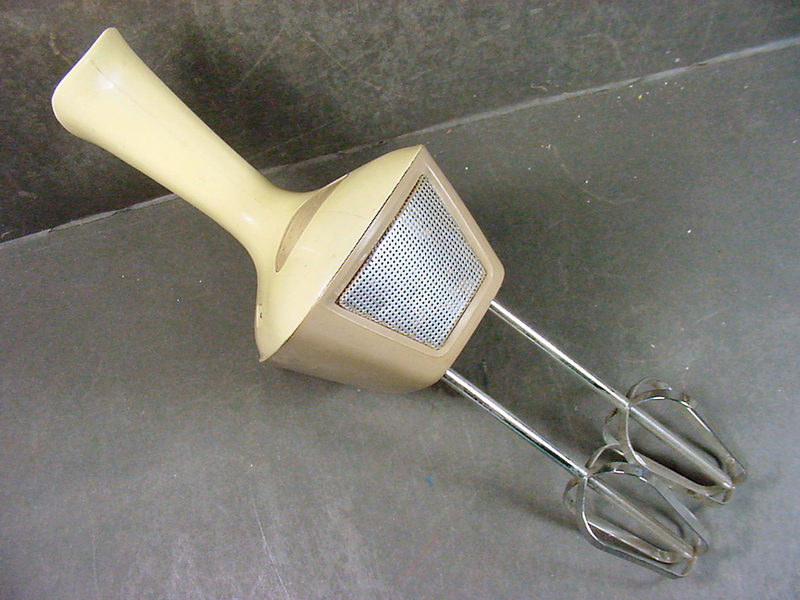 You may see the actual object in its everyday use setting on our Dream Kitchen Restoration Page. Here are some pictures of a very lovely Model 1940 Sunbeam Mixmaster that were sent to us by our friend Valerie. She has a great eye --- this is a real beauty!! 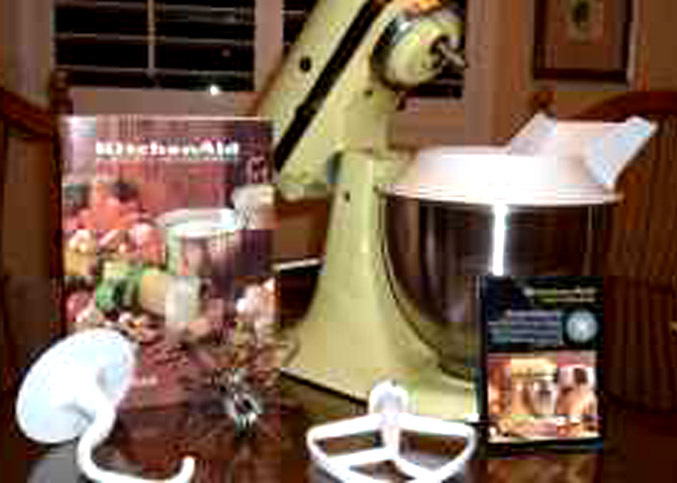 "... My mom had the original white model from the 1940s and and I have fond memories spending hours baking with it. 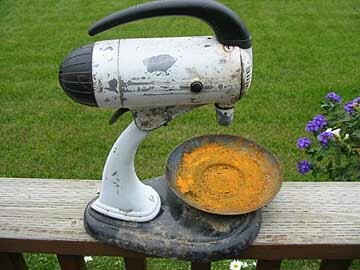 I still have the meat grinder in my garage - not knowing what it was was attached to. Now reading your site I'm pretty sure that it is for the old mixer. 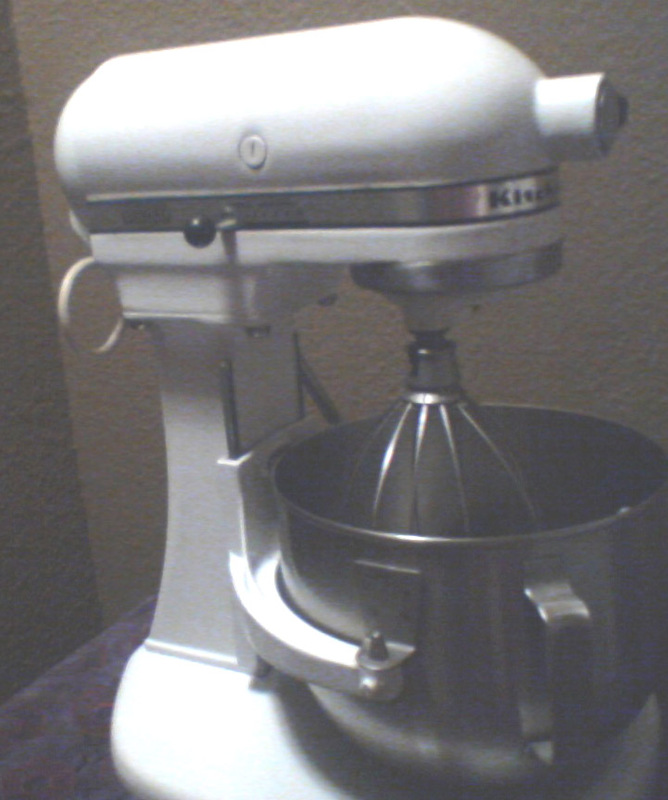 My sister threw away the machine and everything else... Now, I own a hand-me-down from my husband's aunt. 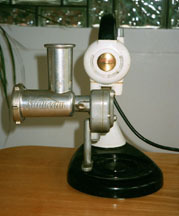 It is the beautiful stainless steel model shown on the photo by Valerie [above] It works great and looks great. The design goes so well with these contemporary stainless steel kitchens. I was actually hunting for some replacements parts for it when I found your site. 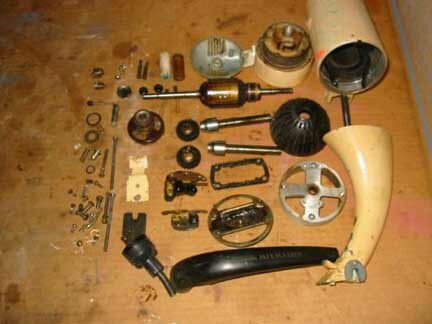 ..."
Our response to Charlene (and others who write is: "It is really hard to find replacement parts for Sunbeam products because there has been a very long history of corporate looting and nothing of the original company remains. 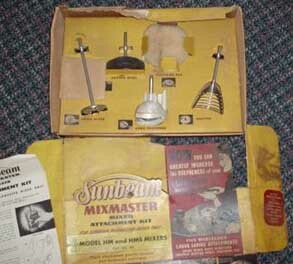 Those 'Sunbeam Heritage Mixers' are made in China by a company that licesnses the Sunbeam name. 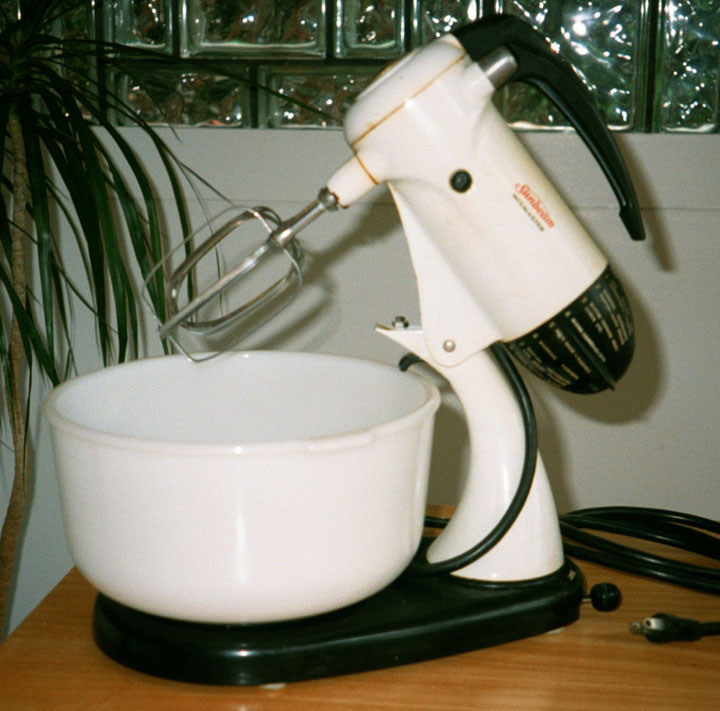 The stainless steel mixers aren't as collectible as the previous generation -- they sell for about $20 online, so you might just want to buy another one and use it for parts." 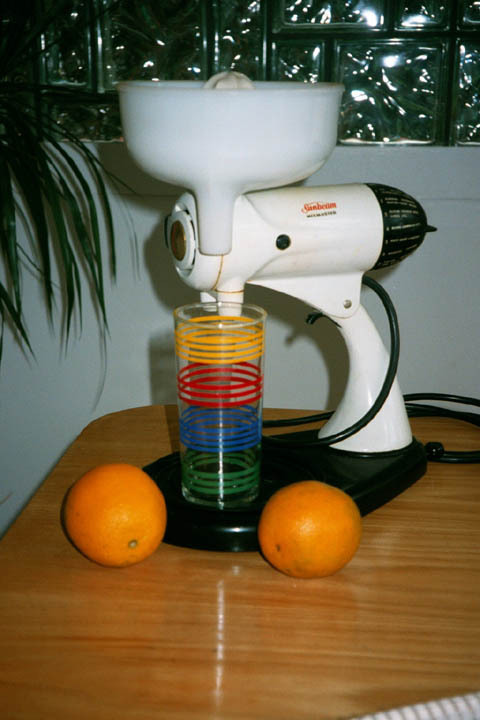 Mr. Fitzgerald provided a very ingenious mixer with a handle and locking device that allowed it to supply power in both a vertical mode (mixing) and a horizontal mode (juicing), cutting, etc. "... 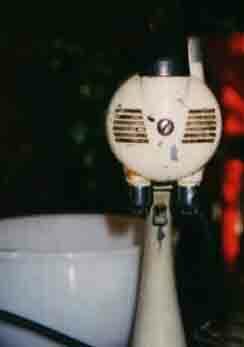 Here is a very bad picture of a Mixmaster Model 11 that was destined for the scrap heap only to be rescued by a $2 capacitor. The quality is poor because I only have a webcam but the story remains the same. This particular machine had lost the ability to slow down. She was stuck permanently in the fast lane and wouldn't even turn off. The pressures of modern day life had finally caught up with this fifty year old even though she could easily pass for twenty. 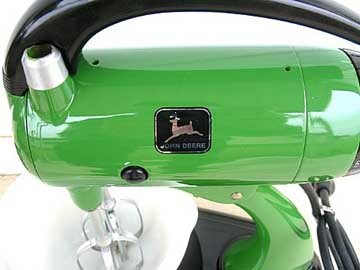 ..."
We got these photos from Jim Dayton, a former John Deere employee, who now customizes Sunbeam mixers. He has an astonishing talent! 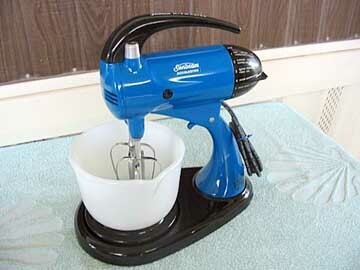 Here is a picture of a mixer sold by Sears. 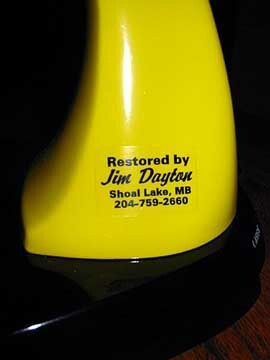 This particular example was restored by one of our readers. It looks great! 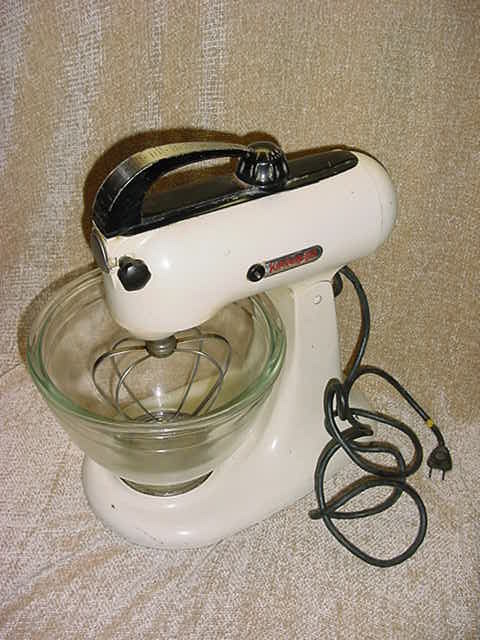 Note that the mixer is featured as "Solid State" -- this means that its controls use diodes and transistors. 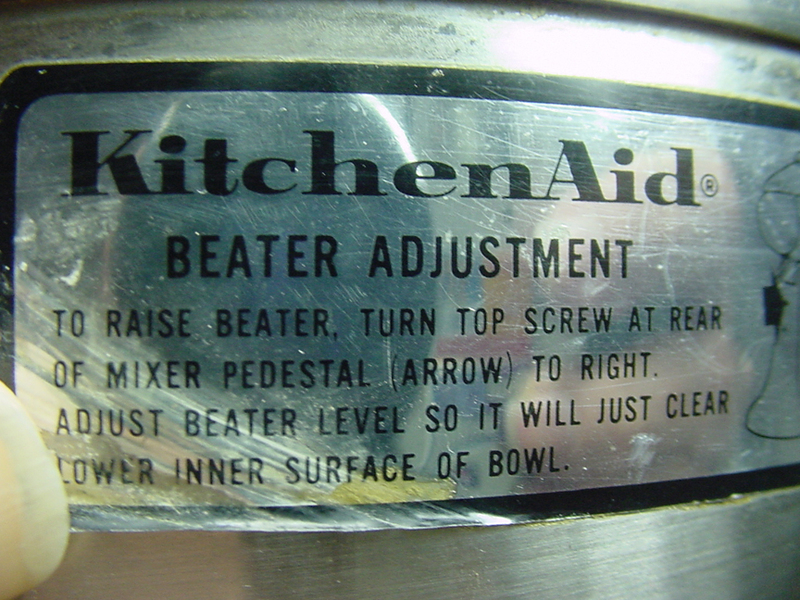 "... regarding "solid state" for the Sears mixer, capacitors are solid state, too (actually, they have nothing to do with solid state or not). 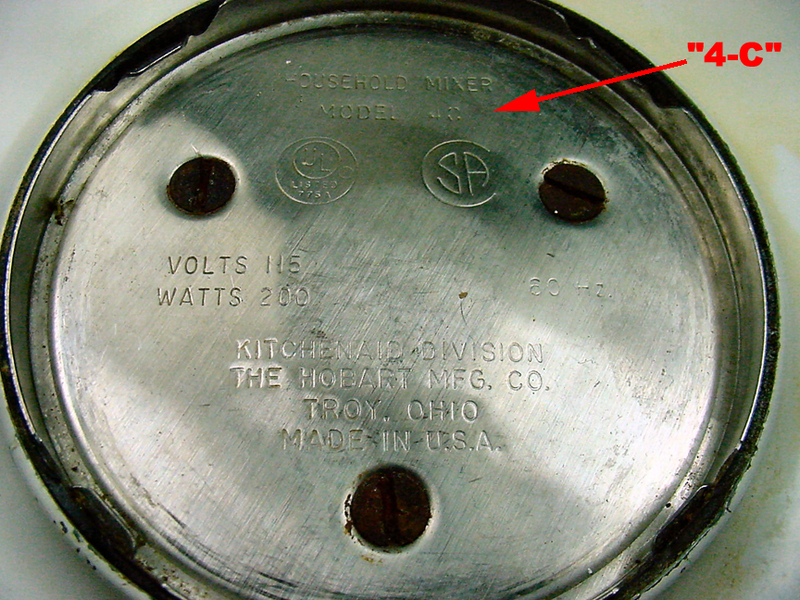 Capacitors are merely used in the old Mixmasters and in the new mixers to supress radio interference. 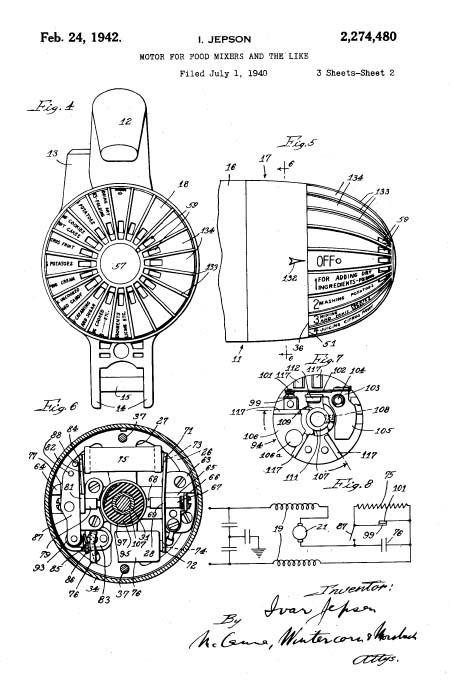 They have nothing to do with the actual speed control unit, though one goes across it to supress noise, and if the capacitor shorts, it'll short across the speed controlling unit, making it unable to regulate speed. 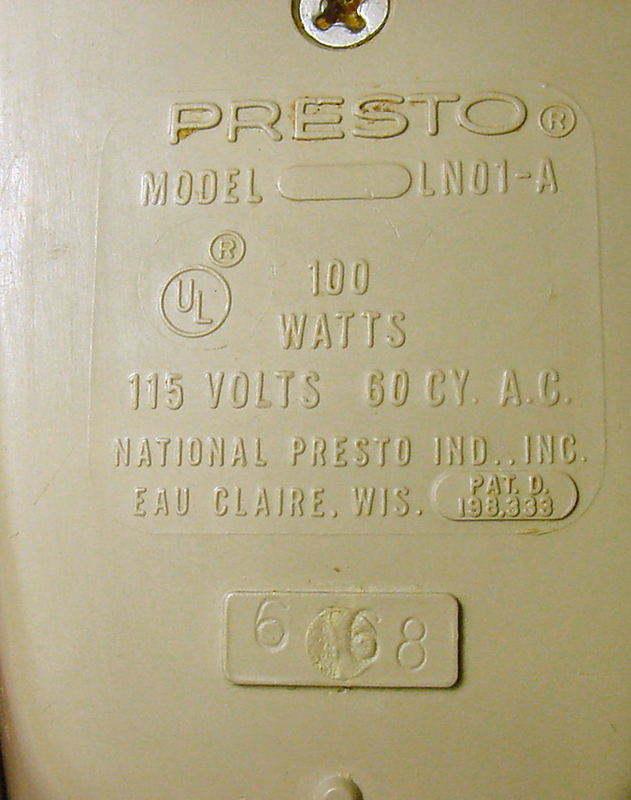 You'll find capacitors everywhere (including in the solid state Sears unit). They are a necessity in everything including your computer. 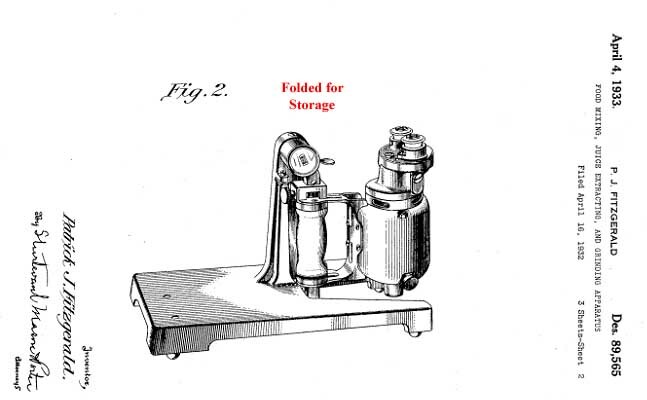 Every solid state radio ever made has capacitors. The solid state stuff regards the transistors that control the motor. 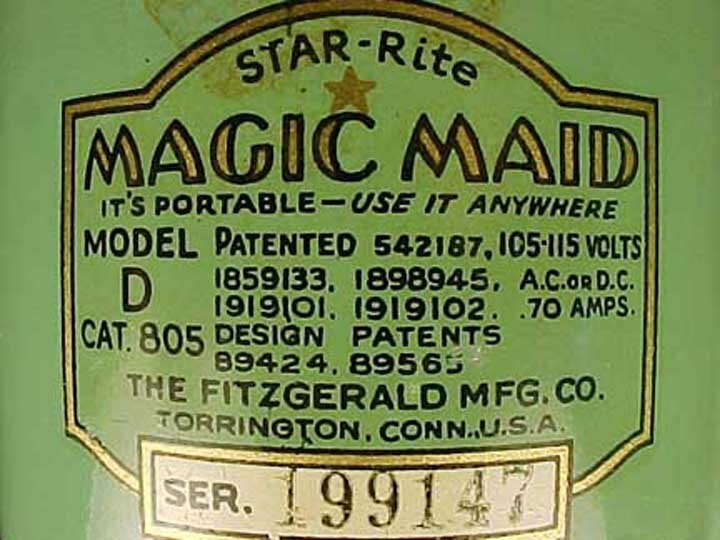 Mixmasters don't use transistors (or micro-chips that contain transistors). 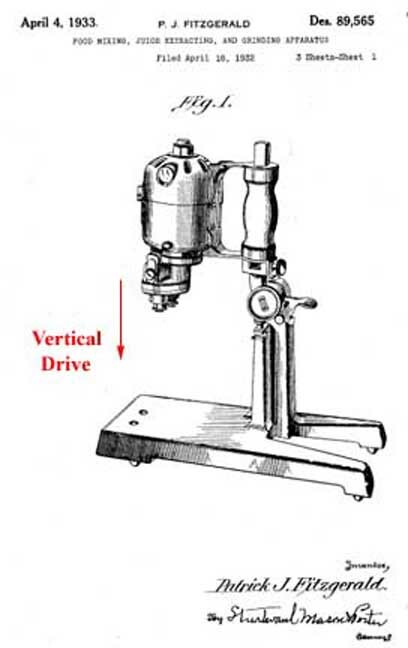 They use mechanical points attached to a governor (two weights that spin outward as the machine spins faster....more tension on the points makes it more difficult for them to open, which makes the motor spin faster....if the points can open easily, they'll regulate the motor at a slower speed). 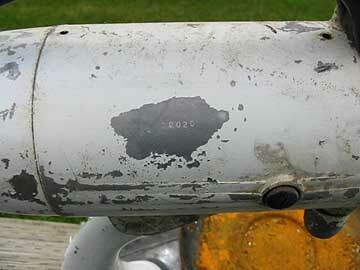 Mechanical points periodically require maintainence, but anyone can maintain them and clean them. Solid state technology eliminates the need for periodic service, but when it blows, very few people know what to do with it. It is also more fragile. 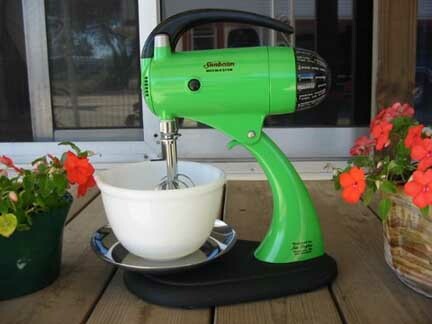 It is more accurate, but with mixers, accuracy is unnecessary. Robust performance is what you want. ...And, even though points need periodic cleaning for optimum performance, you will notice that most Mixmasters operate quite well without maintainence, even after 60 or 70 years. Solid state sounds modern and catchy. It is delicate. 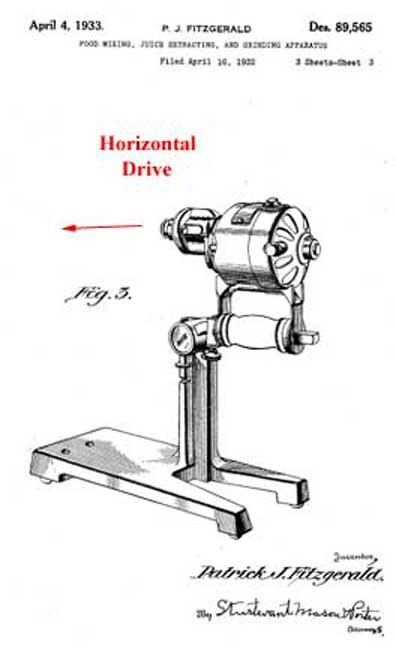 About the only benefit is to the manufacturer, because it is easier to punch out a little circuit board than it is to manufacture mechanical points and a governor. 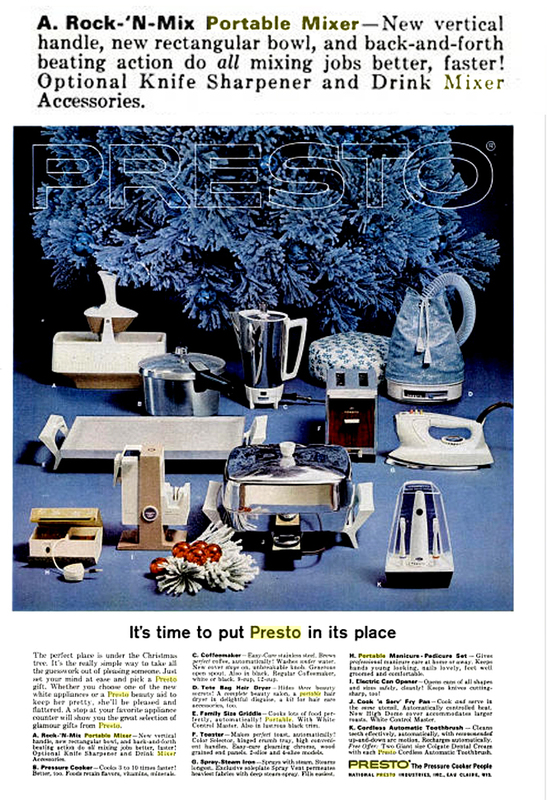 ..."
We want to thank our good friend and frequent contrinutor Acme Ron from Phoenix for the next series of photos of the Presto Rock-N-Mix that was marketed in the mid 1960s. 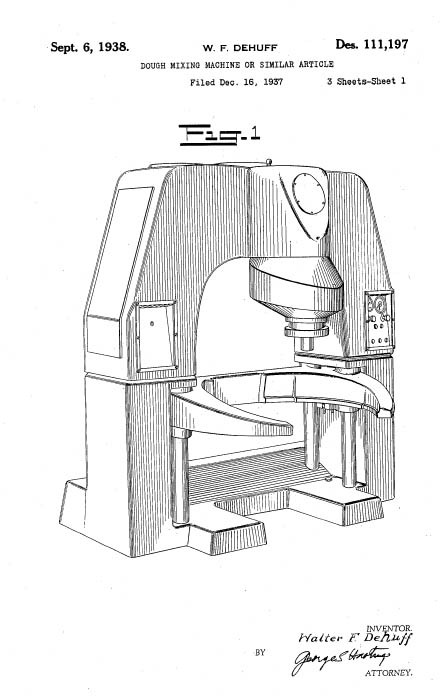 The concept is that the mixer would operate in a rectangular "trough" while the betares pivoted in an arc. 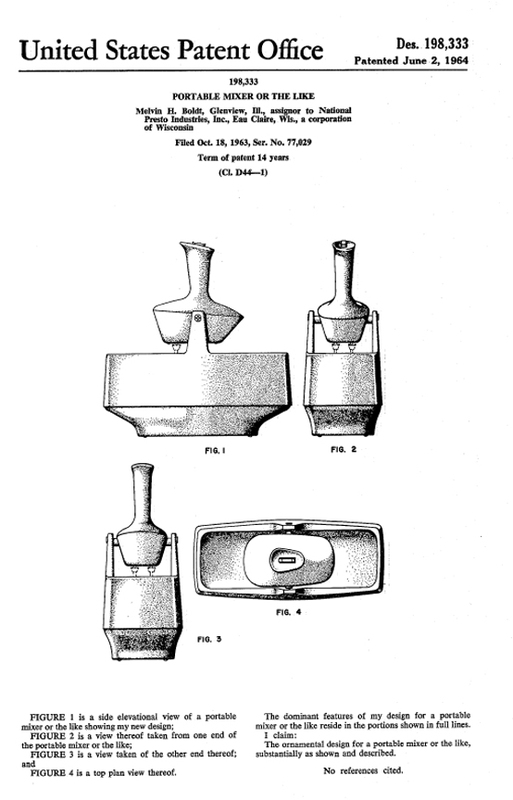 The "trough" was supposed to be easier for pouring out batter than a bowl. In addition, the mixer unit was detachable and was intended to serve as any other kind of portable mixer. 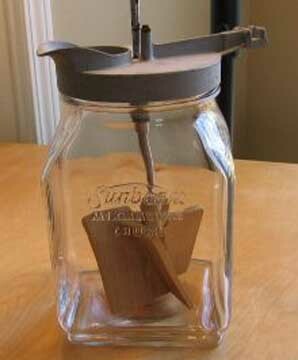 I seriously dowbut that it served this latter purpose very well because of the vertical handle. 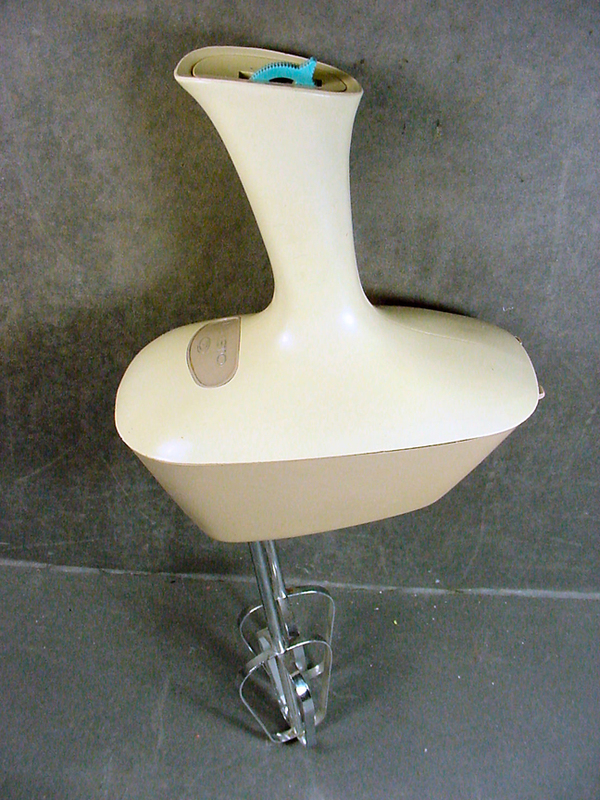 These things disappeared from the market (for obvious reasons) and are quite rare. They appear to invoke a "futuristic" image as something that might have been used in the Jetson household.